I’m use to eating store-bought graham crackers and have been using store-bought ones when I make a graham cracker crust for cheesecakes. 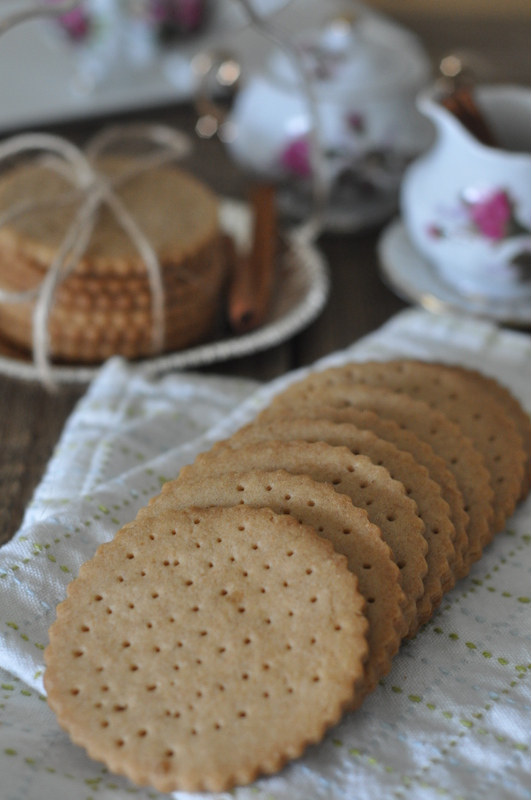 I didn’t realize how easy it is to make homemade graham crackers until I stumbled upon the recipe in Miette’s recipe book. Miette is located in San Francisco and I love everything about the store- their beautiful cakes and confectionaries, and the Parisian-like shop. Literally, I feel like a kid in a candy shop when I’m in Miette. The graham crackers are on the crispy and buttery side, tasty enough to eat on it’s own, or sandwiched between ice cream, which was what I did since I had some homemade vanilla bourbon ice cream left. 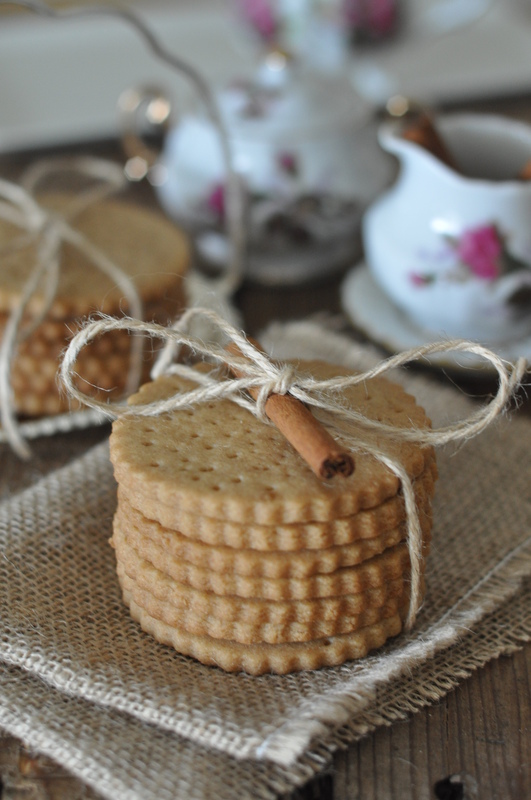 I do have a few more cookies left, which I will experiment in making a homemade graham cracker crust. Sift flours, salt, cinnamon together. Set aside. Cream butter, sugar and honey together until light and fluffy. Add the sifted dry ingredients into the butter mixture in three additions. Mix to incorporate after each addition. Once the dough comes together, remove from the mixer and wrap in plastic wrap. Refrigerate for at least 30 minutes or overnight before rolling. When the dough is ready to be rolled out, unwrap and place dough between two sheets of parchment paper. Use a rolling-pin to roll dough out to desired thickness. 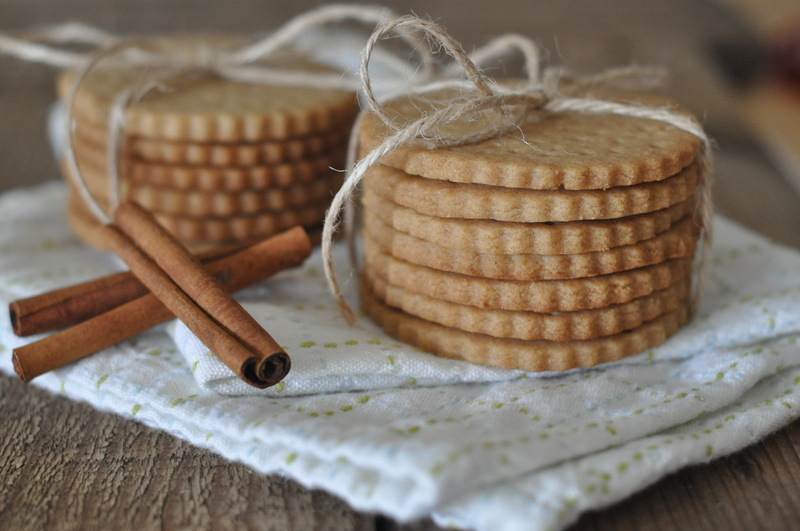 Using a 3-inch round scalloped cookie cutter, cut the graham crackers. Arrange cut cookies, evenly spaced apart, on parchment-lined baking sheets. Using a fork, gently dock the cookies. Bake cookies at 350 degrees, 10-12 minutes or until golden brown. Remove from the oven and allow cookies to cool completely. Have left over ice cream? 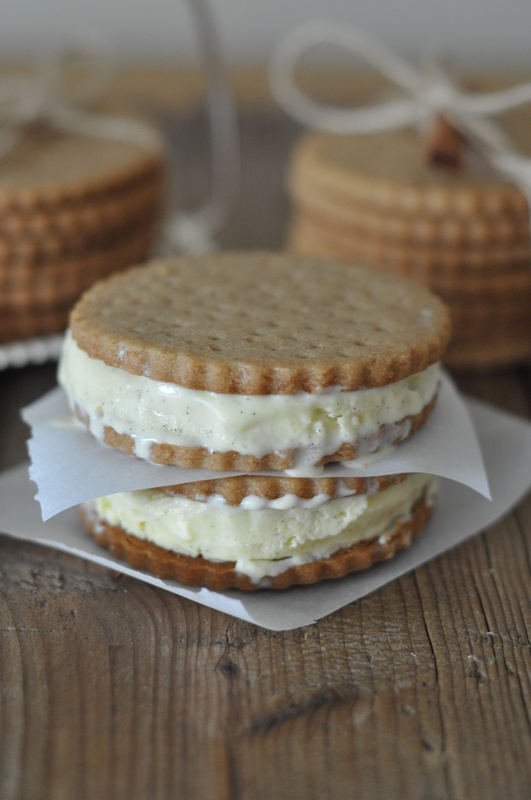 If so, the graham crackers held up well when sandwiched between ice cream. did you scoop and eat the ice cream sandwiches? or scoop and re-freeze? Hey Yao! The ice cream got a little runny, but after re-freezing, the ice-cream sandwiches were amazing!